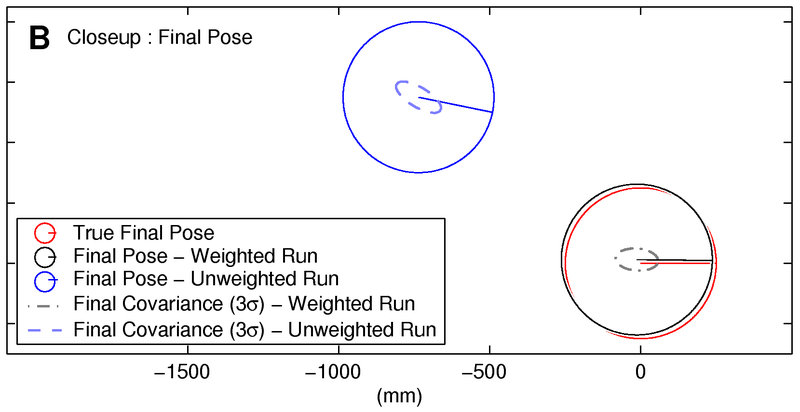 This work introduces a new algorithm to estimate a robot's planar displacement by weighted matching of dense two-dimensional range scans. Based on models of expected sensor uncertainty, our algorithm weights the contribution of each scan point to the overall matching error according to its uncertainty. A general maximum likelihood formulation is used to optimally estimate the displacement between two consecutive poses. We develop uncertainty models that account for effects such as measurement noise, sensor incidence angle, and correspondence error. By explicitly modeling these noise sources, we can calculate a more realistic covariance of the displacement estimate than is done in prior work. 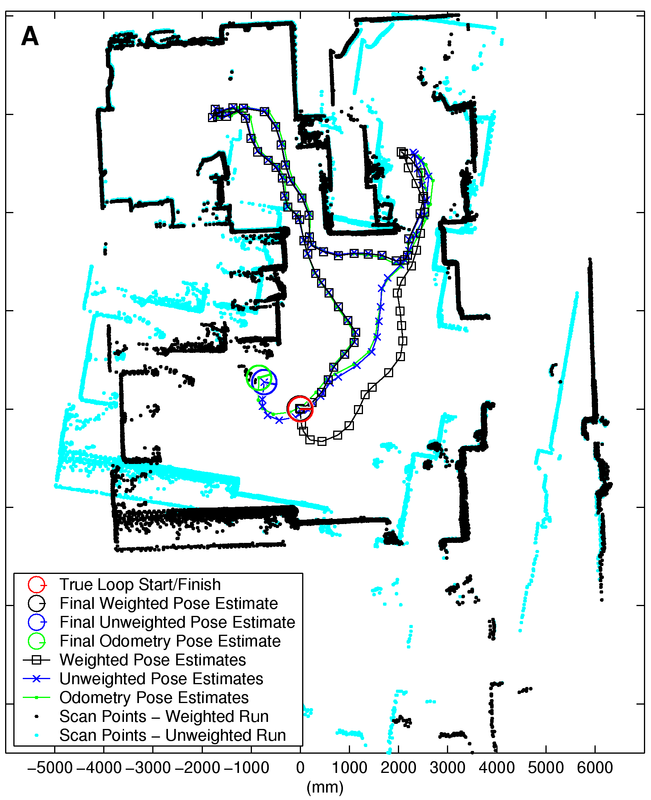 A realistic covariance estimate is needed when further combining the displacement estimates with odometric and/or inertial measurements within an estimation or localization framework. 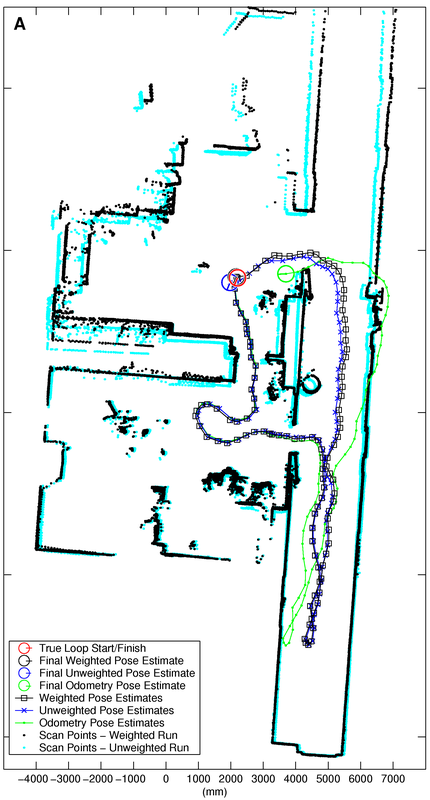 Experiments using a Nomad 200 mobile robot and a Sick LMS-200 laser range finder illustrate that the method is more accurate than prior techniques, but with comparable computational requirements. C3. S.T. Pfister, K.L. Kreichbaum, S.I. Roumeliotis, and J.W. Burdick, "A Weighted Range Sensor Matching Algorithm for Mobile Robot Displacement Estimation", IEEE Transactions on Robotics (submitted).